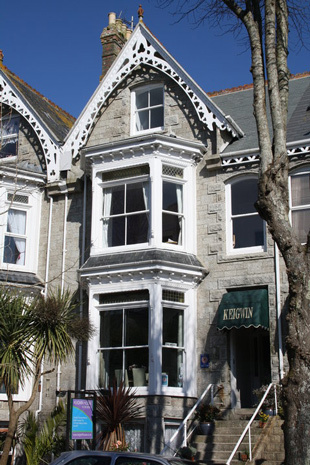 Keigwin House is a friendly and comfortable family run bed & breakfast situated on the tree lined Alexandra Road. 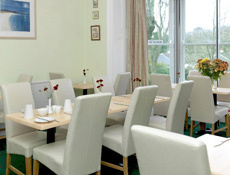 It is within easy walking distance of Penzance town centre and only 3 minutes walk from Penlee Park and the seafront. 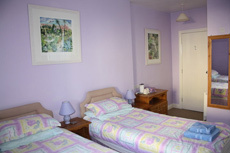 Keigwin House has clean and comfortable en-suite and standard rooms; all rooms have a digital freeview television and hot drinks making facilities. Free WI-FI is also available. In the dining room there is a microwave, toaster and crockery for guests to use during the day or evening if they wish. Breakfast is served in the dining room between 8am and 9am. Breakfast consists of a self-service buffet of fruit juice, cereals, yoghurts, fresh fruit and toast. For your cooked breakfast there is a choice of free range scrambled, poached, fried or boiled eggs, Cornish Pork sausage, bacon, fresh tomato, baked beans and mushrooms.